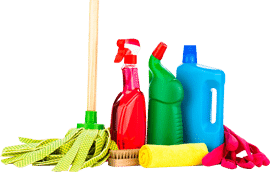 Are you seeking quality cleaning service in Melbourne? Do you wish your visitors to have a solid impression whether home or office? Precious Cleaning Services is gearing up to be one of the best names in the industry. With practical and theoretical in-house training at our base in Preston, all our cleaning employees are perfectly skilled to take up the work and complete it flawlessly. At Precious, we ensure our client’s safety and expectations are met, by using environment-friendly products and techniques, which can effectively handle any mess as well as provide absolute wellbeing for all. Precious cleaning services is a one-stop solution for all your cleaning needs. We maintain high standard and all our cleaning staffs are security checked to ensure total protection for your homes and businesses. Take advantage of our 20% spring cleaning special discount to create a clean and healthy new time for your home and businesses. Forget about all your worries and headaches of cleaning your residential or commercial business, with Precious Cleaning services now offering affordable cleaning solutions to all. spring cleaning season is the best time to make your home or business environment sparkling clean. Let Precious Cleaning Services provide you with the best deal on your cleaning solution, by receiving 30% off for the first month of all commercial cleaning services. All commercial cleaning services in Melbourne can be taken care of by our team of specialized cleaning experts. We take great care for both small and large commercial businesses without being bias, in the interest of property managers and direct occupants. Precious Cleaning offers 10% off your first cleaning experience. Exciting opportunities exist for all the first timers so grab the deals and relax with your family or make use of the time in doing something you enjoy. Refer a friend and get an amazing 50% off on your cleaning services with Precious Cleaning Services. Now, benefit from our services, at a much lower price. Daily chores after a hard day at work can be too tiring. Help your friend and yourself to lead a life with more enjoyment, and leave the yucky cleaning to us. To attract tourists or business clients, a clean premises is a must we offer you the best cleaning solution at affordable rates. Precious cleaning services provides you a spotless cleaning solution at an affordable price, before and after your lease period. We offer to clean office area, according to your needs to create a positive impression on your clients and employees. A greased or tainted window panes can make your office area appear dull. We ensure clean windows for your professional business. Precious cleaning services will take care of your gym, leaving it sweat free and creating a healthy environment. We help you to maintain hygiene and safety in schools by providing expert cleaning services. Hidden germs in carpets can be harmful. We help to keep your carpets clean and enhance its beauty. The appearance of the night club is the main attraction. We provide you specialized service to clear up. Precious Cleaning ensures that patients are in a healthy, clean, and safe environment, caused by an effective cleaning solutions. The dirt, filth, and factory wastes are harmful. Our experts use the right equipment and solution for cleaning industrial areas. Construction sites are often messy with numerous stone chip, brick, tile pieces, etc. We offer builders cleaning to tidy up your area. Positive hygiene being a significant element of sports, we offer specialized cleaning for sports club showers, locker rooms, halls. The most tedious task is to clean the mess after a party. We ensure that you enjoy the party too, by leaving the cleaning to us. After a day of hard work in the office, you feel like coming home to a clean environment and be able to relax with your family. A clean office or home helps brighten up your day. Keeping the carpets, upholstery and the floors in your home clean, fresh and healthy. Precious Cleaning Services have cleaned our offices each week since February 2011. Our offices are always cleaned to a high standard. Precious Cleaning Services provide us with a reliable and thorough cleaning service at an affordable price. We are extremely satisfied with their high level of professionalism; diligence and courtesy. We wish to advise that we have been using Precious Cleaning Services for almost a year now and have been very happy with their cleaning services. I also use Precious Cleaning Services for my house cleaning services Melbourne and am very happy with their work there as well. Most importantly her staff are very trust worthy and reliable, which is very important to us. I would highly recommend this company for all your cleaning requirements whether domestic or commercial. Precious Cleaning Services have cleaned our offices each week since February 2011. Our offices are always cleaned to a high standard. Precious Cleaning Services provide us with a reliable andthorough cleaning service at an affordable price. Chill On lce Lounge & Ski Lodge has been using Precious Cleaning to clean my restaurant/bar for the past 12 month, and have always been completely satisfied. They do an excellent job, are always punctual / able to work outside of our operating times, and offer competitive rates. We are more than happy to recommend Precious Cleaning to any prospective client relating to the level and reliability of the cleaning services you provide six of our company offices in Thomastown and the family homes in Templestowe and Glen Iris.